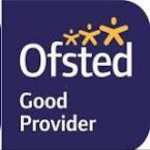 Ofsted registered childminder with experience and flexibility to suit shift workers. I live close to Ashford Hospital/Heathrow Airport with a bus stop 2 minutes walk away with direct access to Hatton Cross, Heathrow Terminals as well as Ashford, Staines and various other routes. I have an outdoor play area with a variety of toys suitable for all ages. Inside I have a dedicated playroom with a supply of different resourses to keep children entertained for hours whilst working within the guidelines of EYFS. Each Child has their own individual file which contains details of all their progress which then goes with them to their next setting, ie pre school, each child also has their own daily diary in which the days events are recorded. With Ashford, Bedfont, Feltham and Staines very close by this gives me opportunities to take the children to local baby gym, local parks, shops and libraries. I also arrange days out to Farms, Zoos, Coast and Theme Parks. The children all enjoy our regular cooking sessions! Extensive experience for all age children with various family members but have also been foster career for 6yrs. I have 2 children of my own. Below are the latest reviews for Lyn1969. Please note that reviews represent the subjective opinions of other Childcare.co.uk users and not of Childcare.co.uk. Parents must carry out their own checks and references on childcare providers to ensure that they are completely happy before enaging in the use of their services. Wonderful person and amazing childminder!! Our daughter, Ilinca, has been in Lyn’s care from the age of 8 months, she is now 19 months and during this time has grown into a happy and confident little girl. From the day we met Lyn, we new she is the one. She and her staff has played a huge part in her development, given my little one guidance in manners, play, sharing and of course their loving care. We cannot stress enough how we would not hesitate to recommend Lyn as a childminder. We have found her to be extremely competent, reliable, flexible,conscientious and trustworthy. At no time has my daughter not wanted to stay with Lyn and we left for work every morning knowing that she is in a caring and safe environment. Her house is always clean, warm and welcoming. We are so grateful and we want to thank you for all your attention and loving care you give to Ilinca. Having found Lyn as our childcare provider is definitely the best thing happening to us in a long while. We can't wish for any better as we really have the best! I have made decision of using Lyn at our 1st meeting as her setting was the best I have seen while looking for childcare. Not only the equipment and room provided for children but also the individual care for each child was more than I ever wished for. Not to mention the flexibility for us shift workers. Our Lewis was only 9 months old when he joined and I was very worried about him settling in since he spent 9 months with me. It took him about 2 weeks to get use to his new regime and surroundings and now after 2 months he really likes coming to Lyn's, spending time with his new friends and all the assistants working with Lyn. Since he has been with Lyn, Lewis is so much more appreciative and loving and has learned loads. I love watching his development, his growing confidence and I always looking forward to read his daily report. Lyn, her family and her assistants make our life stress and guilt free and they all bring enormous joy and lots of love in our Lewis's life. I have never had even a small moment of guilt of leaving our Lewis in Lyn's care as she is somebody I totaly trust. I can't recommend Lyn enough as a childcare provider as she is one in a million. We are very lucky and very fortunate to find such a wonderful service. Fantastic person - amazing childminder! My 2 year old son William has been with Lyn and her lovely family for over a year now. In Lyn's capable hands he settled into the whole routine very quickly. He now loves and looks forward to his days at Lyn's! I agree with a previous review about the lovely calm atmosphere that always greets you and your little one - such well behaved children all round! I am a shift worker working for the emergency services - this means I work horrible hours and often have shift changes. I'm sure that I must stress Lyn out with all my annoying requests but she has never ever shown it and taken it all in her stride - she really has been life saver to me returning to work! I can't recommend Lyn enough! Alice was only about 8 weeks when she started with Lyn and in no sort of routine. After only 2.5 days a week at Lyn's Alice is now in a good routine and goes to bed at the same time every night. The kids at Lyn's are always happy and her assistant, Shannen, is lovely too! I don't know how they do it but I have never been round there and heard the kids upset! Even when Alice has been exceptionally whingey for me she still seems to be all smiles for Lyn every time! Lyn has a fantastic playroom for the kids - although Alice is pretty young and doesn't notice a lot of the toys, I can see the other children enjoy them loads. I love that I get a daily diary of what Alice has been doing each day and what sort of mood she has been in - and it's never been anything but good!! Lyn also has two lovely children of her own and they are absolutely fantastic - polite and happy all the time! Lyn is the perfect Childminder - I couldn't fault her in any way. Like any other parent I was petrified leaving my little one with just anyone and searched and trailed through a lot of childminders.. I wasn't truly satisfied until up popped Lyn.. After a few messages I was eager to meet this lady that seemed to be able to cater to all my working needs and my child's needs.. So we set a time to meet!! When I arrived at Lyn's house I was greeted by her lovely husband Paul (who also has all the necessary checks) along with a nice welcoming smile.. I was shown to a lovely playroom which was full with smiling kiddies and lots of toys and books.. As far as I was concerned I knew my littlen would love the play toys! My mind was made up and we signed contracts within a week.. Lyn was so flexible and agreed to adhoc days along with my shift pattern.. So we agreed on a settling in period for Alfie.. I was nervous as to how he would be but I left him crying and it broke my heart.. But before I even got to work Lyn had sent me a picture of him on his little sleep may under his duvet fast asleep!! I was in shock.. Over a year it has taken me to get him to actually sleep and within 15 mins this lady had manged to get him to lay down n SLEEP!! Well the next week came and off he went back to Lyn's.. I felt more at ease myself and left him.. Lyn had sent me a few texts throughout the day to say he was getting on great and playing with the other children and I couldn't believe we was talking about my son!! Lyn has managed to feed my child apples and bananas and ham rolls and yogurts and all the healthy things I struggled to get him to eat.. He's actually using the word mum and sharing his toys with me along with NO tantrums!!! And tonight my child laid down in his cot on his own and closed his eyes and has been asleep since!! I do not know what this miracle worker is doing but Alfie is a changed boy (for the better) he's really Turning into a lovely little boy and I have Lyn, Shannen and Lyn's family to thank..
Sending my Alfie to Lyn has been a blessing.. And I feel more than safe leaving my precious child with her!! She's been absoultly great and Alfie was even giving his biggest smile to her yesterday!! I'm pleased that I found Lyn and feel a lot more at ease being at work knowing my child is in a safe clean and loving home!